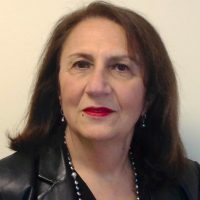 Dr. Arminée Kazanjian, is Professor, School of Population and Public Health, Faculty of Medicine, The University of British Columbia (UBC), Canada. A Sociologist by training and a recognized health services researcher, her early worked centered around Health Technology Assessment and resulting health policy. Her more recent work has focused on research is in cross-cultural cancer care, psycho-social oncology and cancer survivorship. Dr Kazanjian’s is leading a program of intervention research, the TrueNTH Prostate Cancer Peer Navigation Solution: Peer Empowered Partnership in Prostate Cancer (PEP_PC) funded by PCC and Movember.